Activists driven by hostility to fossil fuels and unrealistic expectations about renewables are using misinformation to push an anti-gas agenda. I want to use a Northern Territory context to take a close look at the myths that underpin the activists’ main arguments. Myth 1: Fracking is dangerous and shale gas development threatens water supplies. The fact is – hydraulic fracturing has a long history of safe operations. It has been used to produce gas safely around the world, in Australia and in the NT. Fracking has been in use since 1947 in the oil and gas industry. It was first used in the Territory in 1967. It is also used to develop water bores. Across the world, more than 2.5 million fracks have been completed. Fracking, horizontal drilling and related technologies are continually being refined. The safe use, storage and disposal of chemicals is tightly regulated. In many cases, it is much more regulated than in other industries. Shale gas development uses water – but on a modest scale compared to other land uses. The Hawke Inquiry found that the entire NT gas industry – when fully developed – would require no more water than has been allocated to some individual pastoral properties. Even so, where there are real constraints on water supply, regulators and the gas industry must consider whether developments should proceed and, if so, under what conditions. Where possible, the industry will look to use saline or recycled water to reduce its demand on high-quality reserves. Our industry’s understanding of these issues shapes our operational practices. We are confident we can continue and expand our operations in the NT with no negative impact on the territory’s precious water resources. We are also confident that the new NT Government’s fracking inquiry will broadly agree with the Hawke Inquiry’s findings that development of natural gas resources need in no way threaten water resources. Myth 2: Renewables and batteries mean we don’t need gas. The opposite is true: the more renewables we use, the more we need gas. When the wind isn’t blowing and the sun isn’t shining, another source of power is needed. Right now, battery technology is nowhere near advanced enough to provide affordable large-scale storage. It will be very useful in some small-scale, local, off-grid applications, but it cannot deliver back-up power across the electricity grid. Excitement over the potential of batteries is understandable. But we should remember similar excitement over biofuels a few years ago. The truth is, the ability to rapidly start and shut-down makes gas-fired power the perfect partner for wind and solar. Without gas, renewables cannot provide energy security, nor can they deliver on their potential for emissions reduction. Gas will remain essential for many years to come. 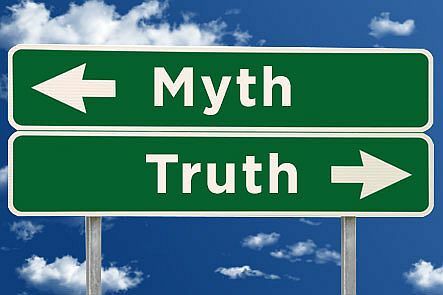 Myth 3: The gas market has collapsed and there is no demand for gas. The fact is – there is a real demand for new NT gas supplies. NT onshore gas production will not initially be aimed at international markets. It will target the NT and eastern states gas markets, which need more gas. The east coast gas market is already tight, and there is likely to be a shortfall in supply towards the end of the decade. Connecting the Territory to the east coast market will boost competition. It will diversify supply and it will enhance energy security across most of Australia. Yes, global demand for gas has softened in recent years and the global LNG price has fallen. But gas demand is forecast to recover and to grow strongly over the next two decades. Less than a decade from now, the world will need new sources of LNG supply. LNG demand is forecast to grow strongly in the 2020s. The Paris Agreement will accelerate this trend. NT onshore gas could be used to increase production at Ichthys and Darwin LNG. The facts are on our side, but the misinformation persists. Green and activist groups are unconstrained by truth. Their stated aim is to end fossil fuel use. They ignore clear evidence of our industry’s co-existence with hundreds of farmers. They make claims of environmental “contamination” where no harm has occurred. They talk about spurious “worst-case” scenarios in order to create fear of any development. Many of their demands for “tighter regulations” are actually Trojan horses. The fact is, many of the environmental NGOs that campaign against gas have publicly and repeatedly said they oppose all new fossil fuel developments, wherever these may be proposed. The real intention is often to make it impossible to develop gas resources in a cost-effective or timely manner. Good laws and good regulation are essential. But nor do we want regulation that unnecessarily impedes access to resources, or makes it very difficult to cost-effectively develop those resources. In some cases, politicians have sought to appease activists and have paid the price. They have imposed unnecessary regulatory hurdles, only to see companies walk away. I hope the NT does not go down that path. Martin Ferguson is Chair of the APPEA Advisory Board. He is a former federal Minister for Resources and Energy, and a former President of the Australian Council of Trade Unions. This is an edited extract from a speech that he gave to the Petroleum Club of the Northern Territory on 14 November. To read this speech, click this link.